Watching children learning to write is such a magical process. 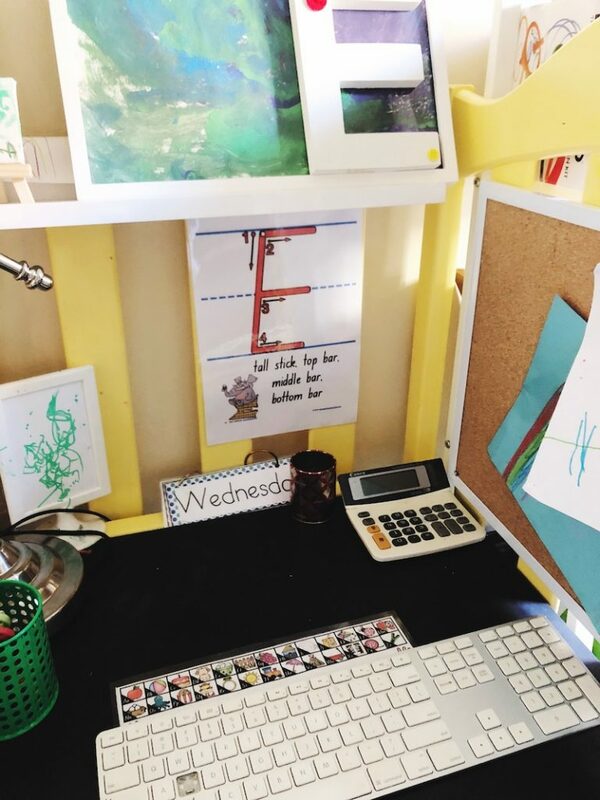 Here’s what I have been doing at my place to help unlock the world of writing for my kids. My little guy moved into a Big Boy bed. So we were left with a cot. Which my husband suggested we convert into a kiddy desk. Who was I to argue?! 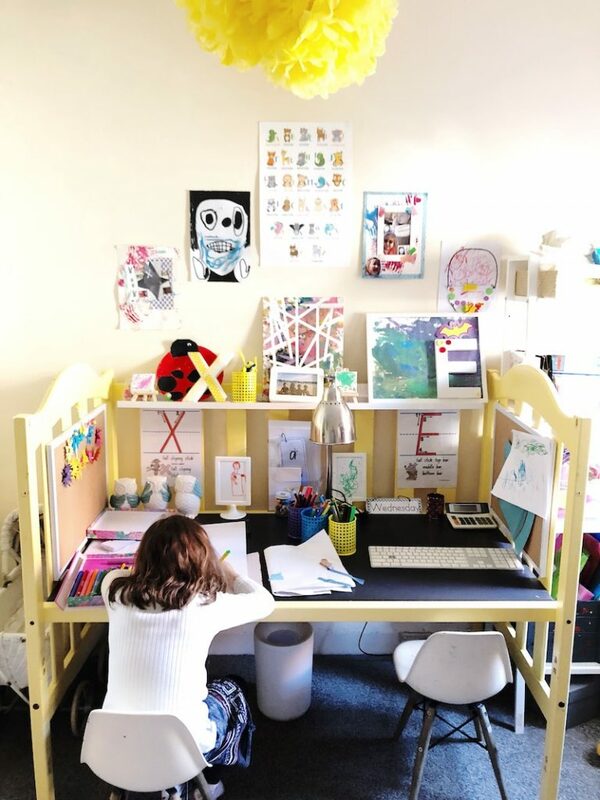 By no means do you need to create a fancy-pants cot-turned-desk writing space for your child learning to write. You just need to create an inviting writing space. And stock it with accessible writing materials. Full transparency: This has lead to many pens and pencils being strewn across the space. In their writing space, my children have paper, pencils and markers. At this stage, my focus is on my children experimenting with writing and mark making. I’m not hung up on letter formation or correct spelling. 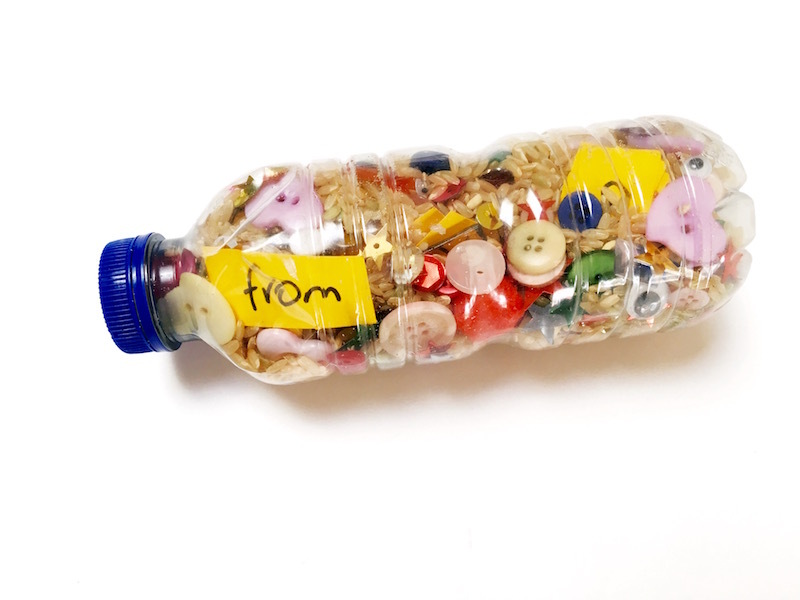 Take a playful, learning approach to writing by supplying different tools and materials. Children learning to write are excited about letters and words. 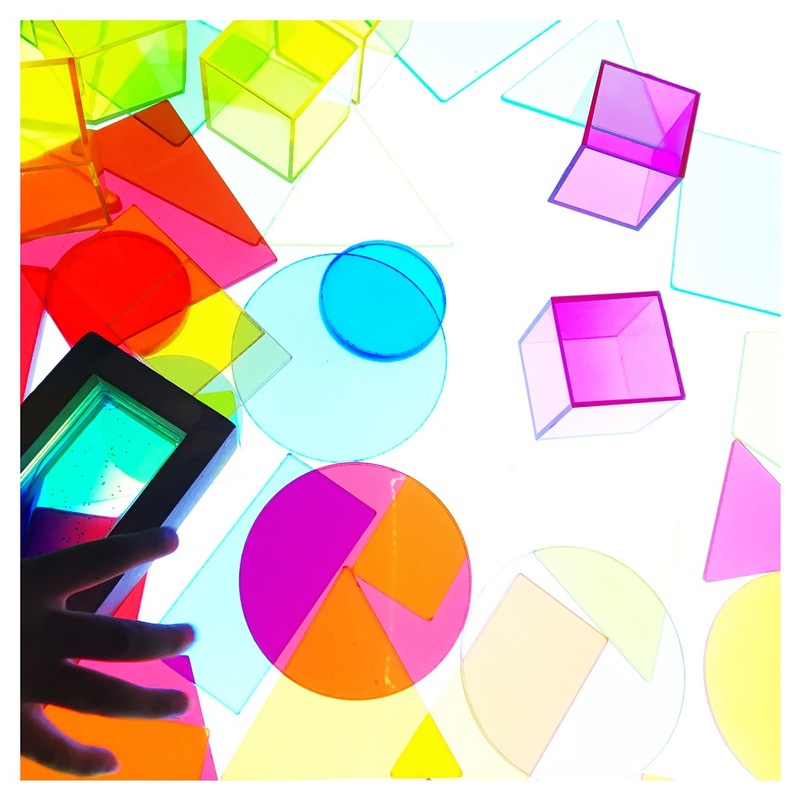 Support this curiosity by providing lots of visual support and prompts. My children are at that obsessive stage of learning to write their names. So we’ve been doing a lot of discussing about how a name starts with a capital and then lower case letters follow. I have posters for their first letter so they can see how it is formed. 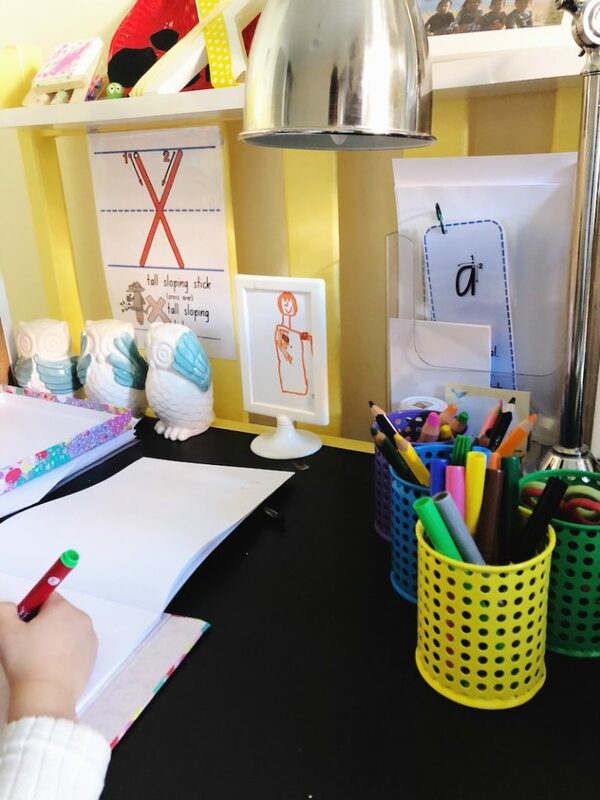 They also have the desk charts shown above so that they can refer to the alphabet as they write. Learning to write is a super complex process. Having visual references helps young writers through the process. This should probably be tip #1. Children learning to write are excited by the possibility of letters, sounds and words. Provide lots of playful ways for your children to explore this world of letters and words. We provide old keyboards for the kids to play with. Letter tiles, magnets or alphabet cards (bought or DIY) are other ways to show your child how to play with words. Heading to the supermarket? Demonstrate how you write a shopping list. Filling in your diary or calendar? Model how you write down the details of an appointment. Going to a birthday party? Show your child how you think about a message and then write it down. Involve your child by showing them writing in everyday contexts. Successful writers need strong hands. 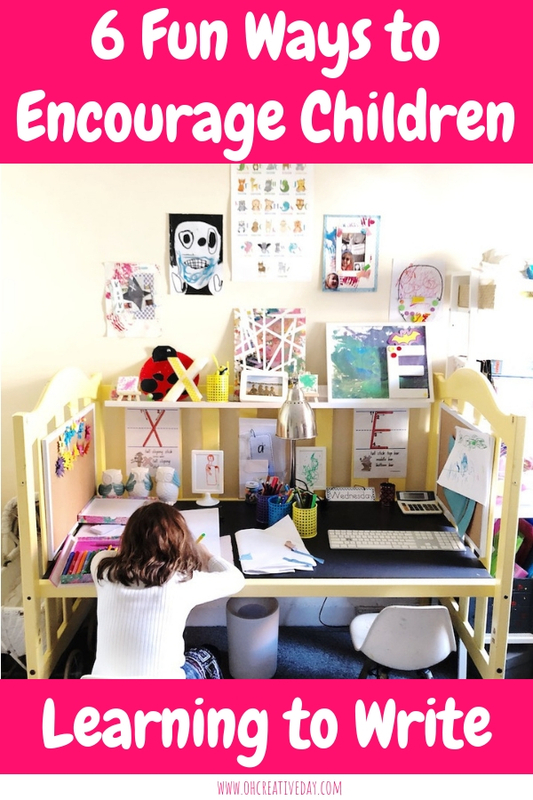 If you’re concerned that your little one shows no interest in writing, never fear. 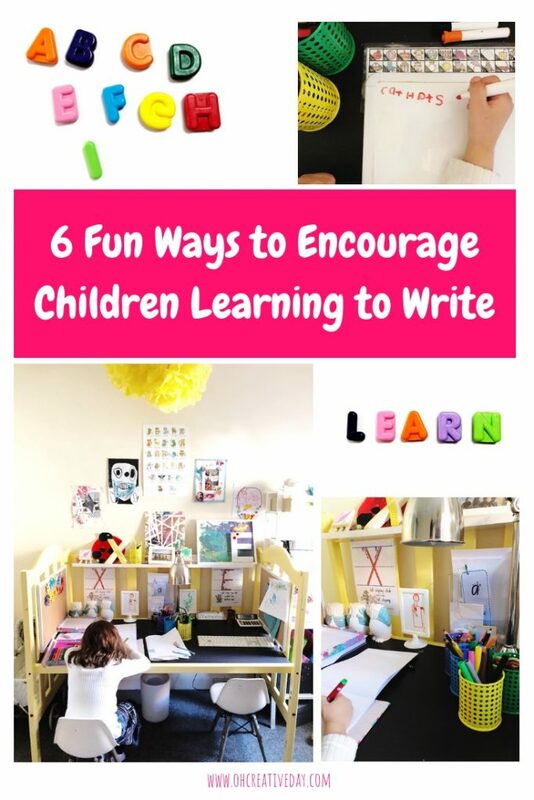 Provide lots of fine motor activities for your child and rest assured that they are building up the skills required to eventually become a writer. 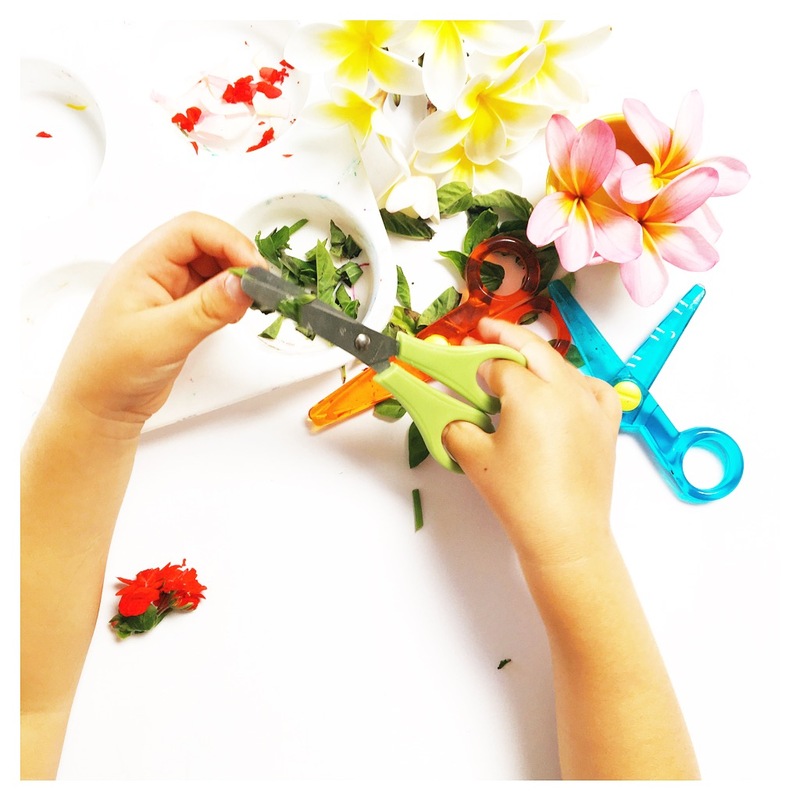 Here are 14 fun and playful fine motor activities. 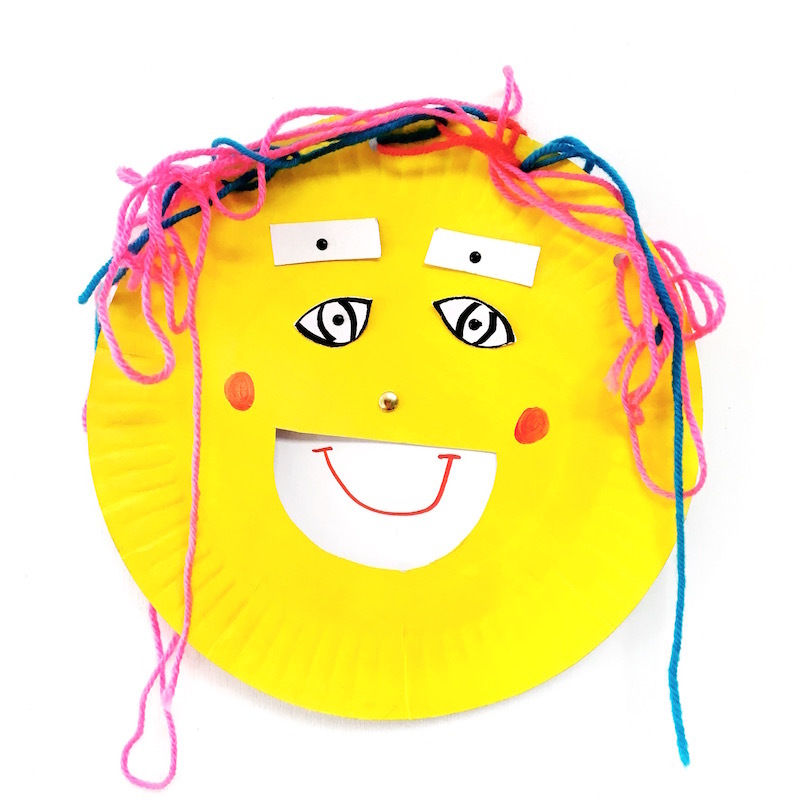 The Happy Hands eBook is also packed with playful ideas for developing fine motor skills.